It’s hard to believe Summer is coming to a close, school buses will again be in the mix of morning and afternoon traffic, and cooler temps will be the norm. However if you love the Fall season as I do, then your to-do-list needs to have Ashcombe Farm & Greenhouses as the number one place to visit...probably more than once. 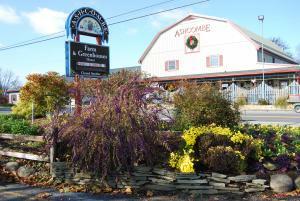 Ashcombe&apos;s is located in the countryside just outside of Mechanicsburg and have been in business for 50 plus years. I always look forward to making my seasonal visits excited in what I might discover that will add new color or aroma to my world. They have so much and more to offer those with or without a green thumb. Yes the garden center is filled with all things horticulture, but be sure to take time to browse the other areas in the building so you don’t miss out on that gardening gift or gourmet food item you just might need. And if you enjoy homemade baked goods you won’t be disappointed they have an assortment of pies, muffins and cookies you can purchase as a take home treat, I know I always do.